November of this year marks the eleventh anniversary of Assassin’s Creed original release on PS3 and Xbox 360. Reviews for the 2007 game were favorable. However, despite a compelling narrative and setting, repetitive gameplay left much to be desired. No one anticipated the acclaim its sequel, Assassin’s Creed II, would garner in 2009. The follow-up’s incredible success launched the series into a stratosphere that few franchises ever reach. It transcended gaming, making the transition to annual releases a no-brainer for Ubisoft. Producer on the first Assassin’s Creed, EA Motive’s Jade Raymond, certainly didn’t predict a decade-long tail for the series. Raymond expresses as much at Develop: Brighton. When asked by Jordan Erica Webber from The Guardian if there’s a recipe for success in launching a game series, Raymond recalls her team’s initial plans for Assassin’s Creed. I’ve gotta be honest, I’m still surprised about how successful Assassin’s Creed is and how it took on a life of its own. When we started working on it, we did have a plan to make three games. We wanted to, we were super excited. And we also felt like since we were getting this great opportunity to create a new franchise from scratch, and a brand from scratch, we really wanted to create a sort of franchise meta-infrastructure or story engine if you will, so that the franchise could live on. Their hopes for the series didn’t stop with games, though. 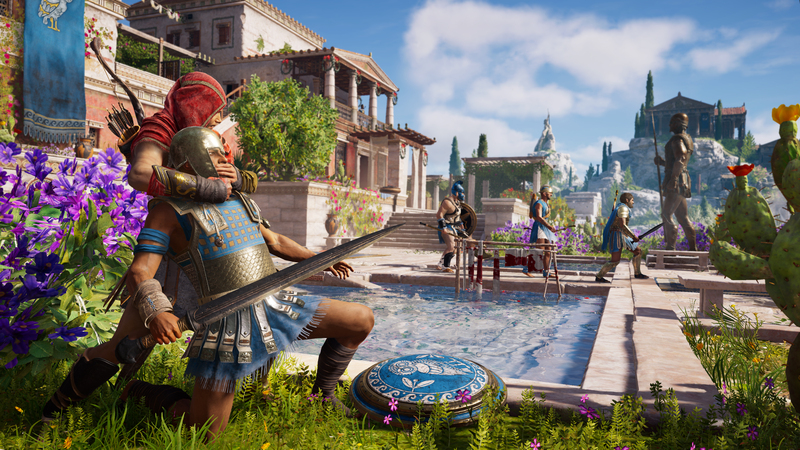 Using history as a playground meant any medium in entertainment could pop in, create something intriguing from within AC’s framework, and still leave plenty behind for the next creative to get their feet wet. And so we designed the franchise as a kind of sandbox for creatives, where I was hoping that we could hand off the keys to other professionals and they could create their own thing within it. So as long as you pick a pivotal moment in history, and you explain what was happening historically through the assassins, then it’s an Assassin’s Creed game. Then within that people can basically play with any historical period they want as long as its revisionist history telling you about this period of time and explaining that the assassins were behind it. In some ways, Ubisoft has achieved this. Comic and novel adaptations perform fairly well. The 2016 film from 20th Century Fox didn’t set the box office on fire, nor did it have critics and fans begging for more. However, an anime series from Netflix’s Castlevania producer, Adi Shankar, could be the project that truly catapults Assassin’s Creed into cross-media success. Assassin’s Creed Odyssey, the tenth entry in the mainline of games, releases on October 5, 2018.